If you agree with most of these, you can probably call yourself a Westport native. Have additional ideas? Leave them in the comments. 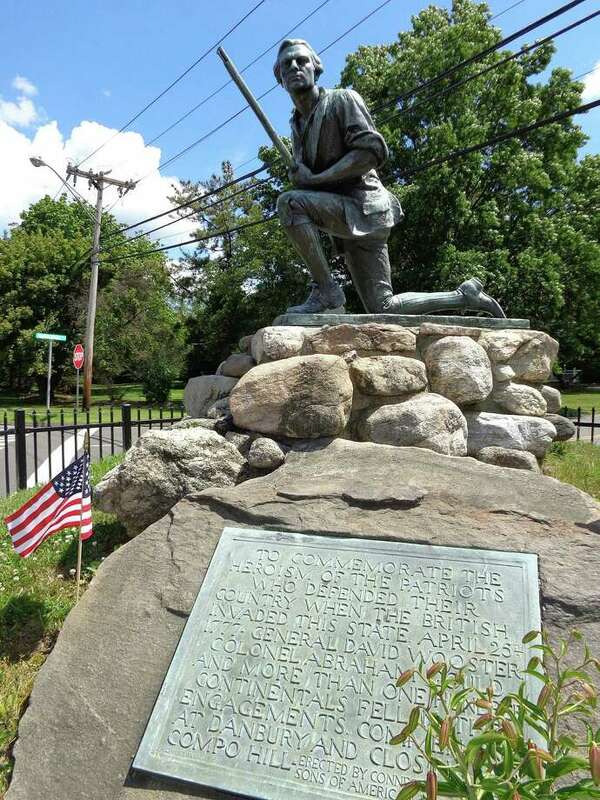 You know the landmark Minuteman statue was once portrayed by Lucille Ball in an episode of “I Love Lucy." You know that Bertucci’s restaurant once was the site of the Clam Box, a roadside favorite for travelers on Post Road and the Connecticut Turnpike (as it was then known) for decades. You know that real Westporters call the Black Duck Cafe in Saugatuck simply, “The Duck." Before Shake Shack, the town’s noted burger joints were Chubby Lane’s, Big Top and Fuddruckers. You know that Westport, incorporated in 1835, was forged from parts of neighboring Fairfield and Norwalk. You tell everyone how Bedford Middle School stands on land that once served as a Nike missile site for the U.S. military. The late actor and philanthropist Paul Newman lived in Westport with his family nearly 50 years, and everyone knows this. You remember the Mobil gas station the once stood on the site of the Vineyard Vines store on Main Street. You tell everyone how writer F. Scott Fitzgerald and his wife, Zelda, lived in Westport during the summer of 1920. Their spell in Westport was “riotous,” according to several accounts. You know about Joe Mioli, a former Westport state representative, who once ran for a seat this year in the Italian Parliament (pictured on the right). You are well aware that the town’s oldest house of worship, Green’s Farms Congregational Church, was founded in 1711. On a clear day, visitors to the Sherwood Island State Park can see the New York City skyline, and you love touting this little detail to visitors. You call Parker-Harding Plaza on the east bank of the Saugatuck River downtown by the nickname, “Harder-Parking Plaza,” because of the frequent dearth of parking spaces there. You tell people how President Bill Clinton stayed at the Inn at National Hall, a now-defunct hotel on the west bank of the Saugatuck River, in 1998. You still remember that in the late 1960s, United Illuminating was thwarted in its plans to build a nuclear power plant on Cockenoe Island in Long Island Sound, about a mile off Compo Beach. You know that the house on the Baron’s South property near the town center was once owned by Walter Langer, an Austrian-born chemist and perfume magnate, a.k.a. Baron von Langendorff. He died in 1983. You remember that former state Rep. Julie Belaga was the Republican nominee for governor in 1986. She lost to the Democratic incumbent, William O’Neill. You know that the late adult film star, Marilyn Chambers, grew up in Westport and graduated from Staples High School in 1970.